What School of Magic do You Prefer? In keeping with our theme of wizards here at Live Nerd Repeat, I’ve decided to come up with a handy little tool to figure out what school of magic suits you… you know, in case you develop magic powers. Hey, you never know. 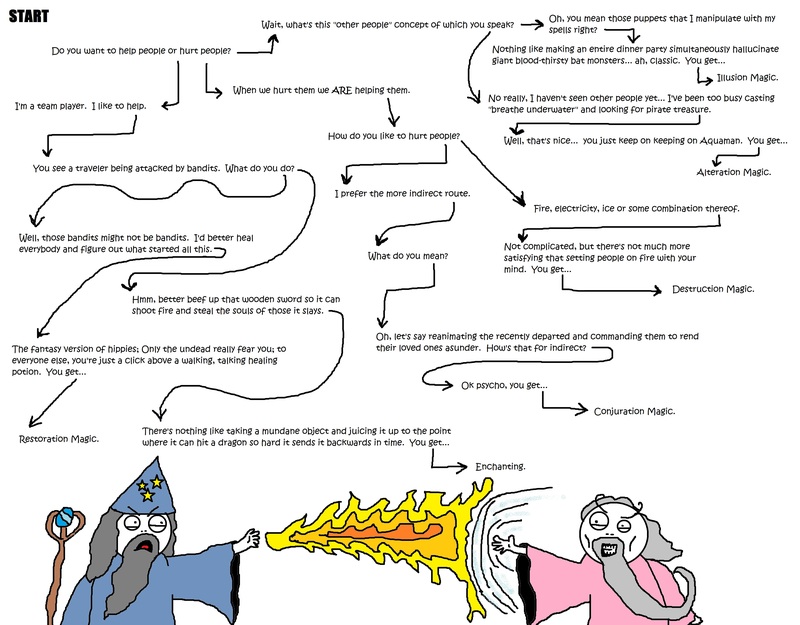 Anyway, here it is so read on young wizard. P.S. I really need to stop playing Skyrim… It’s really starting to permeate all facets of my life. P.P.S. Now, if you’ll excuse me, I have to go to the store and restock on alchemy reagents; getting low on garlic and vampire dust.